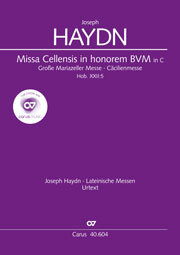 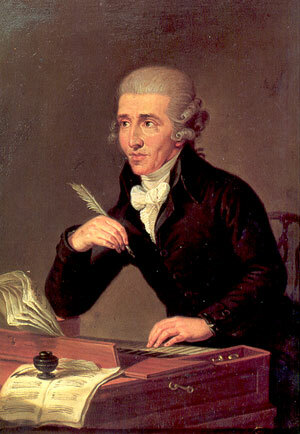 Although Joseph Haydn made important contributions to the genre of church music, it is the instrumental music and operas which were at the centre of his output as Kapellmeister to the Princes of Esterházy. His most important contribution to church music was fourteen Latin masses, of which only twelve are authentic or complete; these are complemented by motets and offertories, two important <em>Te Deum </em>settings, two <em>Salve Reginas</em>, a <em>Stabat Mater</em>, and the different versions of the <em>Sieben Worte des Erlösers am Kreuze</em>. 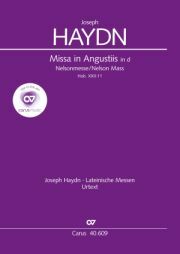 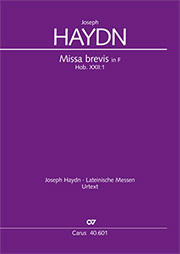 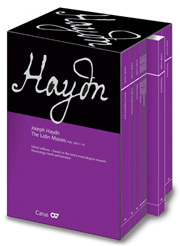 The masses were composed continually between 1749 and 1802, except for the years 1783-1795, and therefore constitute the genre with which Haydn was occupied over the longest period of time. 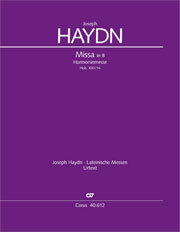 The six (authentic or complete) masses composed before 1782 are stylistically very different, and as well as short Missae breves there are more extended masses with rich orchestral scoring; by contrast the six so-called late masses, written from 1796 onwards, form a comparatively homogeneous group of more extensive works scored for large forces. 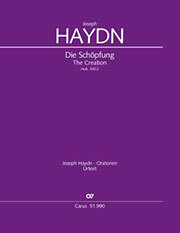 With his two great oratorios <em>Die Schöpfung </em>/ <em>The Creation</em> (1798) and <em>Die Jahreszeiten </em>/ <em>The Seasons</em> (1801) Haydn established the tradition of the German oratorio for middle-class music making.